Lāʻie, Oʻahu. Photo Courtesy of Envision Lāʻie. 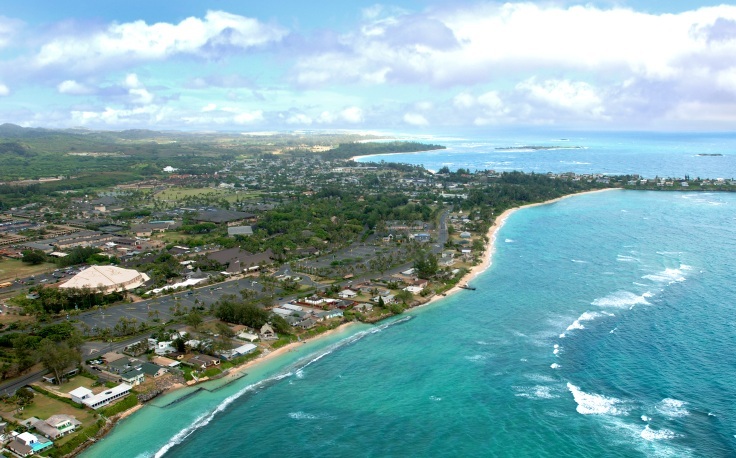 Tucked away on the far, east side of ‘Oahu is the beautiful community of Lāʻie. It is historically known as the birthplace of the shaka sign, the site of Waiapuka pool, a sanctuary for the mythical Lāʻieikawai, and for its community Hukilau, now commemorated by the naming of Hukilau Beach as well as a 1948 Hawaiian medley. It is probably most famously known for its visitors attraction The Polynesian Cultural Center (PCC), owned and operated by the Church of Jesus Christ of Latter-Day Saints and famed for its authentic Polynesian entertainment. The church established itself in Lāʻie in 1865 and has become one of the key figures in documenting the community and surrounding Koʻolauloa area. They also established a robust acedemic resumé for Lāʻie attributed to the creation of Brigham Young University Hawaii in 1954 (originally Church College of Hawaiʻi). 1959 Lāʻie Hukilau mens troupe. L-R: John Quereto, Alan Barcarse, Ronald Wong, Brian Hollis, Ishmael Stagner, Pitone Ioane. Photo courtesy Joseph S. Smith Library Archives & Special Collections. These are, by all means, some of the most common elements of Lāʻie. However, there is a more obscure, lesser known fact about the small community worth mentioning. 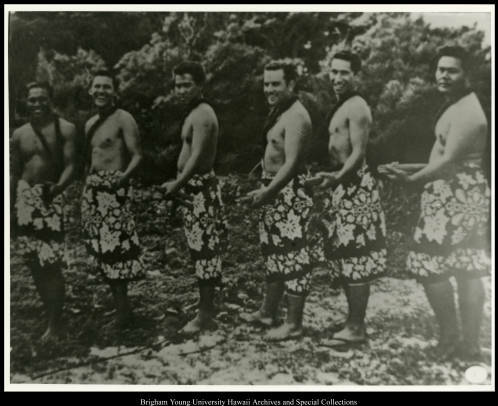 Lāʻie played an extremely important role in the preservation of Hawaiian dance or Hula. This was due to its rural location far from the enforcement of public restrictions and also to a community of resilient families who valued and perpetuated hula traditions. Hula can still be seen today in the community’s frequent celebrations and gatherings. And the PCC, which is a fairly modern creation (1963), really owes its success to the community’s preservation of hula, as it truly grew out of that effort. As you can see, Lāʻie has a very rich and vibrant history. 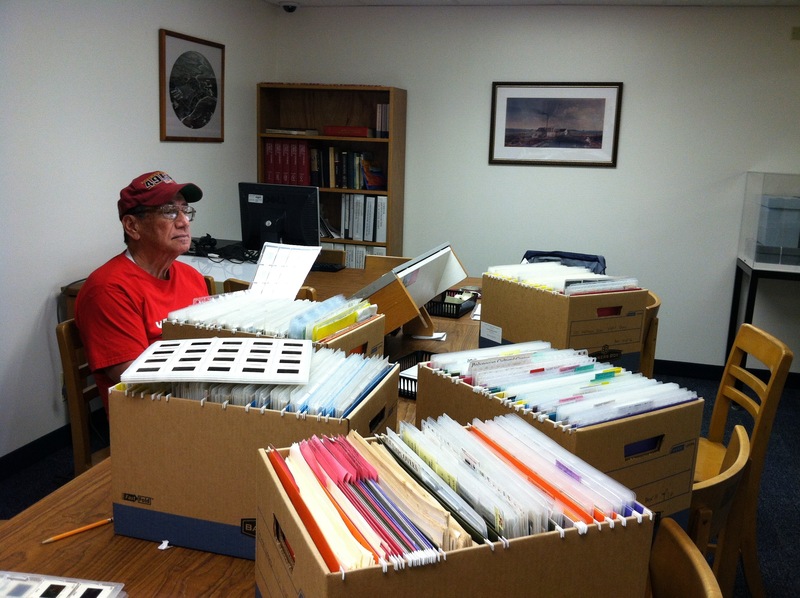 It is truly inspiring and exciting to know that some of that history now lives in the BYU-Hawaiʻi Archives. Researching in the Reading Room of the BYUH Archives. Photo courtesy Hula Preservation Society. 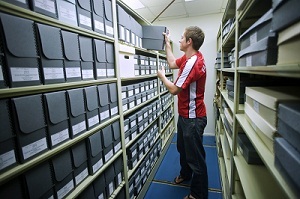 The Archives are located on the grounds of the Brigham Young University Hawaiʻi campus, on the second floor of the Joseph S. Smith Library. A small, quaint office hosts student interns and staff who assist the Archives with research inquires, digitizing, and cataloging. Next to the work office, is a reading room with a large viewing table and a computer capable of searching the Archives’ catalog. The primary collecting area of the Archives includes the history of the Church of Jesus Christ of Latter-day Saints in Hawaii and Oceania. Their secondary collecting areas includes Hawaiian history and culture, the history and culture of Oceania, and the history of the Koʻolauloa moku of the island of Oʻahu. The majority of the materials themselves are corporate records and contributed by Church College of Hawaii (now BYU-Hawaii), the Polynesian Cultural Center, the Lāʻie Hawaiʻi Temple, the Hawaiian Mission of the Church of Jesus Christ of Latter-day Saints, and the Lāʻie Sugar Plantation. Other materials were received as donations over the years from families and individuals of photograph collections, journals, diaries, personal papers, physical artifacts, and audiovisual material. Materials in the BYUH Archive. Photo courtesy of BYUH Newsroom. 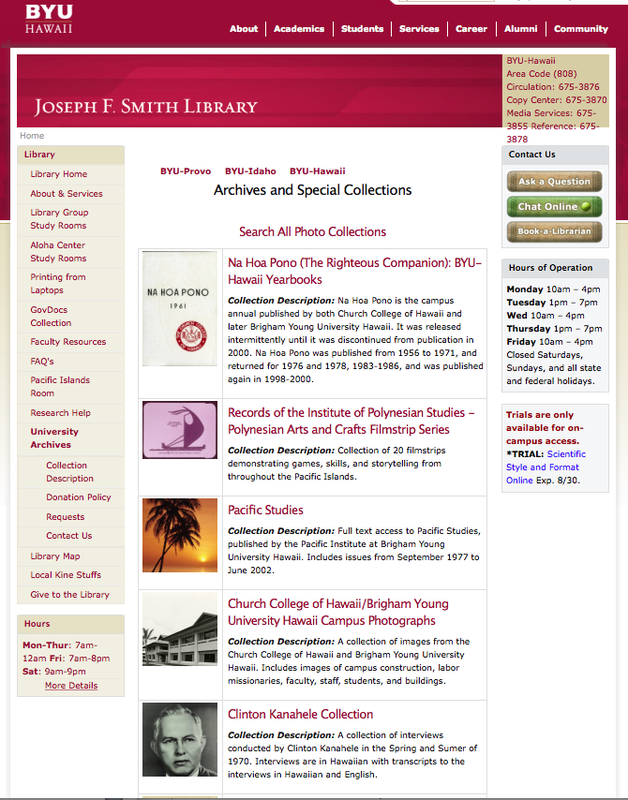 Currently, the Archives has a small, but amazing online resource at its Archives and Special Collections webpage (https://library.byuh.edu/library/archives). A dozen collections are available for viewing with materials ranging from plantation photographs to oral history collections with audio interviews in ʻŌlelo Hawaiʻi, audio interviews with Koʻolauloa residents, and memoirs of church members. Archives & Special Collections Webpage. Koʻolau Railroad in Lāʻie carrying sugar cane, circa 1906-1946. Photo courtesy Joseph S. Smith Archives & Special Collections. “We have many collections that are dear to our heart. However, the James McGuire collection of Native Hawaiian art and artifacts is exceptional, as is the Alice Namakelua Collection, the Douglas DeSure collection of scrimshaw, and our collection of original diaries from missionaries in Hawaiʻi”. Auntie Alice Namakelua demonstrates kīhoalu, 1980. Photo courtesy Hula Preservation Society, Nā Mākua Mahalo ʻIa Collection. The Archives occasionally hosts events to highlight some of their collection materials. 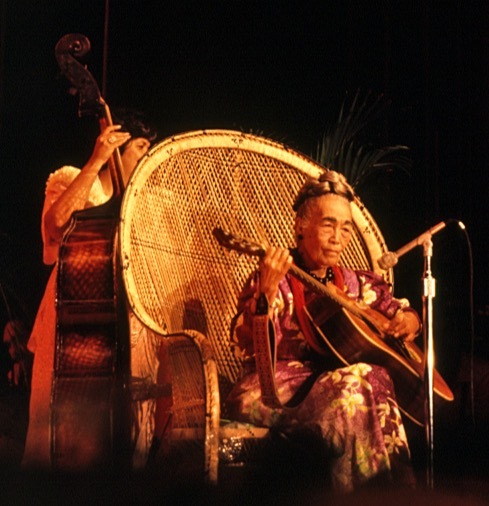 They have recently co-hosted two public presentations highlighting rare footage from the 1980’s Nā Mākua Mahalo ʻIa award series, which recognized prominent hula and musical greats of the 20th century. They currently have an exhibit on display in the Joseph S. Smith Library with items from the Alice Namakelua Collection. Auntie Alice was a well known and highly respected Hawaiian composer, famed as the foremost expert on Kīhoalu, Hawaiian slack-key guitar. She also worked for the City & County Parks & Recreation Program for many decades, teaching hula, language, and music. The exhibit will be on display until December 2015. 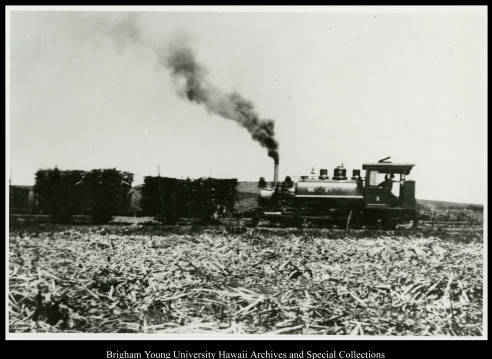 The Archives at BYU-Hawaiʻi has various ongoing projects including an effort to digitize the Kahuku Sugar Plantation Newsletter entitled “The Kahukuan”. They are also working with graduate students in Hawaiian Studies at the University of Hawaiʻi to remaster and index the audio files and transcripts of the Clinton Kanahele Oral History collection, which a portion of is available online at their Archives & Special Collections website (previously mentioned). The future also looks bright and busy with a planned project to implement a comprehensive digital database of 46,000 photographic images. Keau George is the Collections Manager at the Hula Preservation Society and is on the Board of the Association of Hawaiʻi Archivists. Keau.hps@gmail.com. This entry was posted in Repository Spotlights. Bookmark the permalink.